Weddings, parties, camping, festival, training … the list of what our members had on offer over the weekend is endless! Love where I live! Hope you all had a wonderful weekend whatever activities you decided on. On the club scene, we had our Annual General Meeting at Lake Alexander yesterday. Thank you to all who attended and also to those who provided their proxy vote. Phill Hatty stood down from the position of President (a role he has undertaken since 2010) and we take this opportunity to thank Phill for his contribution. The good news is Phill has agreed to remain on the general committee. Phill’s president’s report to the AGM is posted to our website. 1. If you are going down to Lake Bennett and can help out please contact EO Triathlon NT by email here. 2. Thanks to those who have already indicated they are available to assist. Triathlon NT will contact you direct. 1. We have limited stocks of some uniform items including club caps & visors, men’s swimmers, the new men’s & women’s cycle tops, etc. 2. This are now on sale on a first come basis. 3. You can order here. 4. Recommended you refer size chart before ordering. 1. The 2013/2014 Junior Calendar is now posted to our Junior pages on the website here. 3. FOR SALE: Race wheels. Campagnolo Neutron tubular race wheels - very light - beautifully engineered wheel for hilly/windy races. Takes Campagnolo cluster. Includes Continental tubulars Tempo 19 front, and Competition rear. $350 for the lot. Contact Stu 0418 437 075. 5. Items for next E News by 8pm Sunday please. 1. Many of you are enquiring about the whereabouts of your 2013/2014 membership cards. TA have acknowledged the delay and hope to have those out to members shortly. 2. 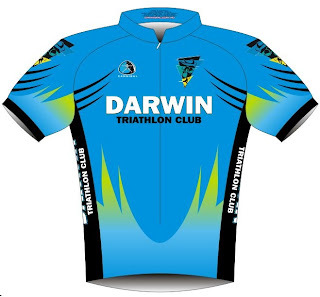 Date claimer: Triathlon NT AGM, Sunday 22 September 2013 Lake Alexander 6.45am prior to event. 3. The Super Tuesday bike count is coming around again – this year it’s Tuesday 3 September 2013 between 6.30-8.30am. Volunteers are needed at the various count sites across Darwin & Palmerston. The club will benefit if any of our members sign up to count. Interested in assisting with this very worthwhile project? More information and registration available here. 4. Great news for those intrepid triathlon travellers among us, with a new Challenge half iron distance event announced for the Philippines. More info here. 5. And for the M Dotters, we also have a branded 70.3 event as part of the Geelong Multi Sport Festival. 6. Great to catch up with Life Member Ernie Koch yesterday. At 82, Ernie is an inspiration to us all. He is still out there most weekend’s riding his bike. 7. With Finlay’s NT Long Course happening this weekend here’s a memory jogger. 2012 Winners were Ross Young (VIC) and Stef Puszka. 8. 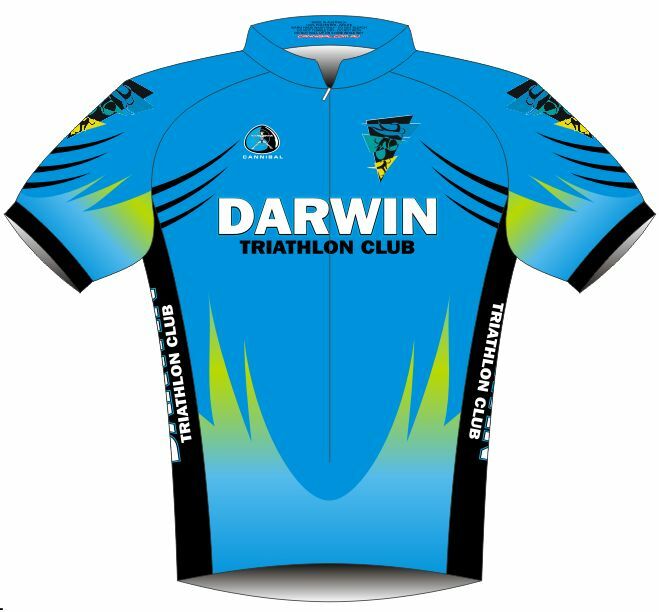 We can now offer the remaining, very limited number, of cycle tops to members and they are included in the uniform order above. The tops were presented to some as awards at our Presentation Night & we congratulate those who received them. 9. Great to see so many of our members entered for Finlay’s NT Long Course Triathlon. Our recent Member Survey showed Lake Bennett to be the most “looked forward to” event on our tri calendar.